Rupprecht Law, P.A. is located in Palm Beach County, Florida. News Reporters/ Journalists CLICK HERE to get a quick response for a story. Here are seven ways you can access my training, knowledge, & experience. They are ordered from those that require the least investment to the most. Search my website (FREE!) I have written many articles on various drone topics. Use the search box on the right-hand side of the screen. Subscribe to my newsletter. (FREE!) I set the newsletter up to educate people. 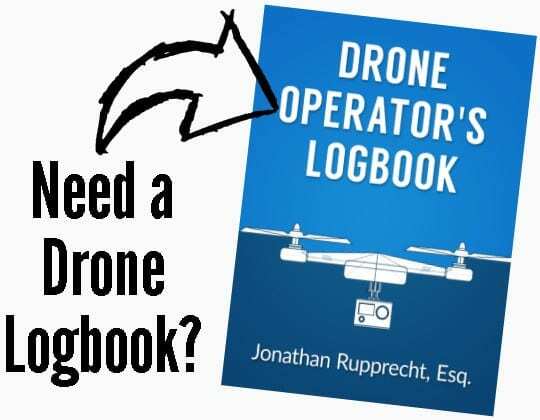 It has different paths that are carefully crafted to best serve your interests with topics relating to your needs (starting a drone business, studying for the Part 107 remote pilot exam, running a drone operation, etc.). You can sign up for my newsletter here. Buy one of my products. I have some products listed above. I am planning on adding more products so make sure you sign up for the newsletter to receive updates on availability of books, courses, etc. Hire me for a road-mapping session. We can schedule a 30-minute consultation for $200 where we can brainstorm positioning your business to be legal and profitable. Are you new to the industry and are trying to figure out how drones integrate into your business? A consultation can help you make the right choices for your business. Hire me to answer questions. The internet is full of erroneous and unlawful information. Do you need information quickly that is reliable? You can purchase my time in blocks of 30 minutes ($200) where you can ask me multiple questions. For larger projects, we can work on an hourly basis. I also do some authorizations/waivers for a fixed price. See here for more details. Hire me to file an authorization, waiver, exemption. You might have multiple questions regarding this area. I highly suggest you take the time to carefully read over my FAQ page. Book me as a speaker. I have spoken at many conferences. (See the list of the conferences). If you would like me to speak at your event (in person, via Skype, via a recording), contact me using the form below. If the seven options didn’t cover what you have in mind, contact me using the form below. There are great responsibilities that attach when I give out legal advice, so I only give out legal advice to my clients. If you are not my client and are interested in legal advice, the only way I will provide it is if you become a paying client. Submitting your legal matter to me using the form below does NOT create an attorney-client relationship. An attorney-client relationship will only be created when you sign the attorney-client contract AND I also receive payment. Do NOT submit confidential or important information to me until an attorney client relationship is formed and that is ONLY by you paying me and signing a contract. By submitting the form below, you agree that no attorney-client relationship will be formed by submitting the form. You also agree that you will not submit any confidential information. What is 20 + 10? Sign me up for the drone newsletter!